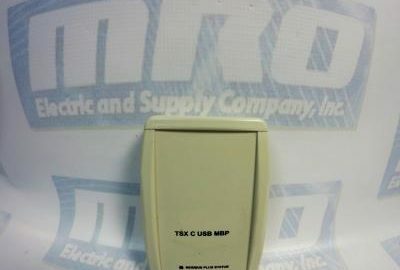 MRO Electric has new and refurbished Micromaster 440 Drives in stock. We also can repair non-functioning drives. To request a quote, please email sales@mroelectric.com or call 800-691-8511. Following parameters are needed for quick commissioning of a Micromaster 440 drive. In the event of a failure, the inverter switches off and one of the following fault codes appear on the display. 1. Motor power (P0307) must correspond to inverter power (r0206). 2. Cable length limits must not be exceeded. 1. Supply voltage (P0210) must lie within limits indicated on rating plate . 2. DC-link voltage controller must be enabled (P1240) and parameterized properly. 3. Ramp-down time (P1121) must match inertia of load. 4. Required braking power must lie within specified limits. UnderVoltage - Main supply failed. 1. Supply voltage (P0210) must lie within limits indicated on rating plate. - Duty cycle too demanding. 1. Load duty cycle must lie within specified limits. Earth fault Fault occurs if the sum of the phase currents is higher than 5 % of the nominal inverter current. (4) I/O board is not poperly inserted. - Since all these faults are assigned to one signal on the power stack, it is not possible to establish which one actually occurred. (AOP or BOP) is connected. Failure Motor data identification failed. - Alarm value =1: Current limit level reached during identification. - Alarm value =2: Identified stator resistance less than 0.1% or greater than 100%. - Alarm value =3: Identified rotor resistance less than 0.1% or greater than 100%. identification failed Percentage values based on the impedance Zb = Vmot,nom / sqrt(3) / Imot,nom 0: Check that the motor is connected to the inverter. Optimisation Failure - Motor data identification failed. Wrong IO Board 1. Wrong IO board is connected. min. value - PID Feedback below min. value P2268 - Change value of P2268.Adjust feedback gain. max. value - PID feedback above max. value P2267. - Change value of P2267.Adjust feedback gain. 16. Internal RAM failed on power-up check - Drive may run but some features will not work properly. 1. No breakage, seizure or obstruction of drive train. - P0409 (pulse per min at rated speed). - P2191 (Belt failure speed tolerance). 4. Apply lubrication if required. So what is the 6SN1145-1BA01-0DA1? 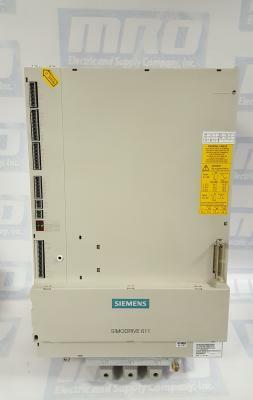 The Siemens 6SN1145-1BA01-0DA1 is a Simodrive Infeed/Regenerative Feedback Module with Closed-Loop control. This module is used to connect the drive group to the line supply. Specifically, it is used to input power into the DC link. It also provides the electronics power supply for the connected modules. The 6SN1145-1BA01-0DA1 does not have an comprehensive overload protection. This protection must be provided by the configuration and the correct setting of current values on the control boards. Machines with high dynamic requirements placed on the drive. Frequency braking cycles and high braking energy. Control cabinet designs optimized for low operating costs. 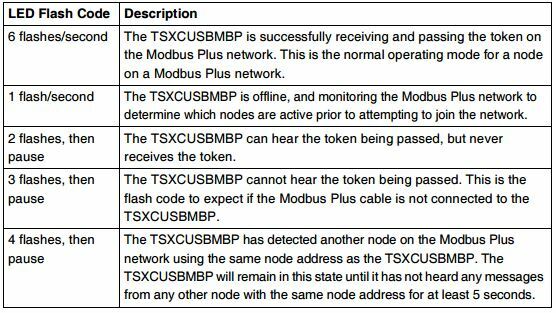 This I/R module, the UI and monitoring module are located as the first module to the left of the drive group. The mounting surface of the infeed module and drive modules as well as the commutating reactors and line filter should be mounted to the mounting panels through a low resistance connector like galvanized plates or panels. Commutating reactor not available, incorrectly installed or incorrectly selected. System fault level of the line supply or transformer too low. Line filter inserted between I/R and the commutating reactor. 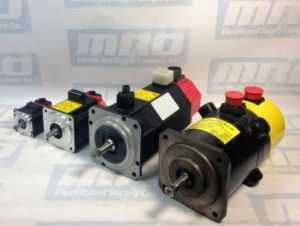 MRO Electric has new and refurbished 6SN1145-1BA01-0DA1 Simodrives in stock. For more information or to request a price quote, email sales@mroelectric.com or call 800-691-8511. 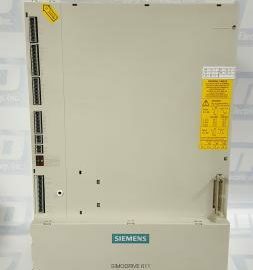 On the front of the Siemens Simodrive monitoring and NE modules there is a series of 6 LED lights that are used to diagnose issues with the drive. 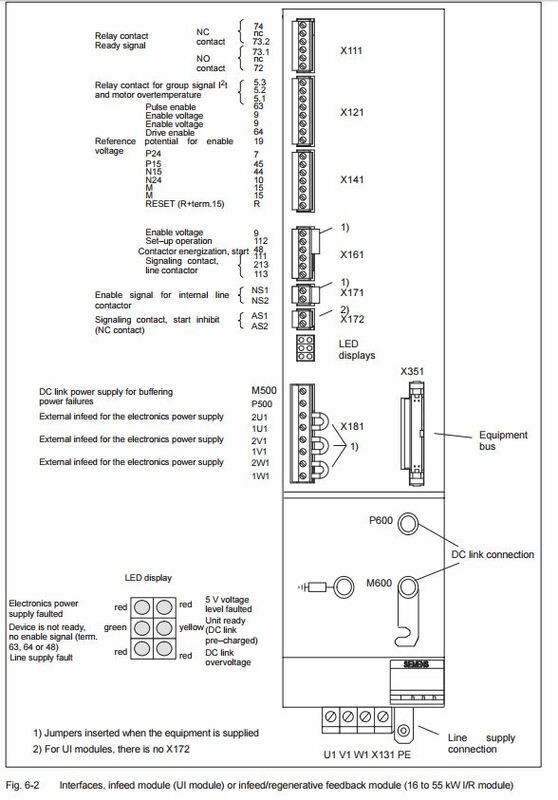 We have a diagram of the LED below along with the meaning of each light so that customers can properly diagnose their Siemens Simodrives. 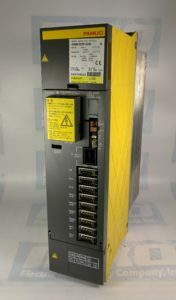 The FANUC A06B-6079-H208 is a Servo Amplifier Module, SVM2-80/80. This module drives a servo motor of the 200V input series. It is a 2-Axis amplifier, and can be used with Type A or Type B interfaces. The module weighs approximately 7.0 Kg. Its external dimensions are 380 x 90 x 307 millimeters. It has a rated output current [Arms] of 18.7 and a nominal current limit [Ap] of 80. One common alarm for the A06B-6079-H208 is Alarm 9. When this occurs, the M-Axis has an over current caused by a servo drive or motor fault. If you have an Alarm 9 with a dot, then that is an M-Axis IPM alarm, and you should replace or repair your A06B-6079-H208. The A06B-6079-H208 converts alternating current to direct current in the converter section, and exercises variable motor speed control by PWM control based on switching by the six transistors in the inverter section. Switching noise is generated by the 6 transistors turning off and on at high speeds. Each time a transistor turns on or off, noise current flows to ground through stray capacitance between the cable or motor and ground. The value of this noise current depends on the stray capacitance and transistor switching speed. The frequency band of the amplifier’s noise is about 30-40 MHz. The presence of this noise means that cost-effective measures should be taken to reduce its level. Noise problems prevented prior to operation can help reduce costs over the lifetime of the installation. The following precautions should be taken when installing your A06B-6079-H208. – Separate power lines and motor power lines from signal lines. – Contain power lines and motor power lines in a metallic conduit. – Perform appropriate grounding installation including grounding wire connections. This will also serve to prevent electrical shock due to leakage currents. – Grounding wires should be as thick and as short as possible. Noise can affect things like radio communication, refrigeration, telehones, fax machines, and essentially any electronics nearby. 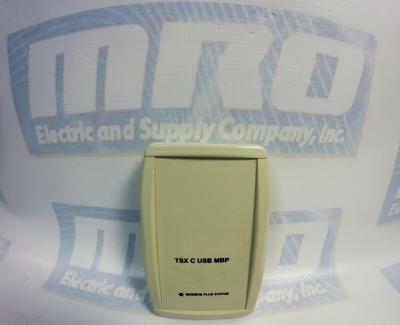 MRO Electric stocks new and refurbished A06B-6079-H208 Servo Amplifiers. If you would like more information or to purchase a spare or replacement drive, please call 800-691-8511 or email sales@mroelectric.com. We recently had a customer install a replacement 6SN1121-0BA11-0AA1 card into a 6SN1123-1AA00-0EA1 power module. When they installed the card it came up with an F-16 alarm code on the display of it, which references an “Illegal Power Module.” Using the instructions in the manual for the start-up of a replacement Simodrive card or power module we were able to get the customer back up and running with the steps below.